Now, more than ever, internet users are visual. Design, colors, graphics, photos and other media all determine if they’re going to hang out for a bit, or leave before 8 seconds is up. We know that integrating images in web pages is key to illustrate points and break the monotony of lengthy text. The question is, how are you deciding which images to use? Stock photos are just that, especially when included free in various marketing and web design programs and services. And many users can spot them a mile away – partly because of the way they look, and partly because they’ve seen them before. 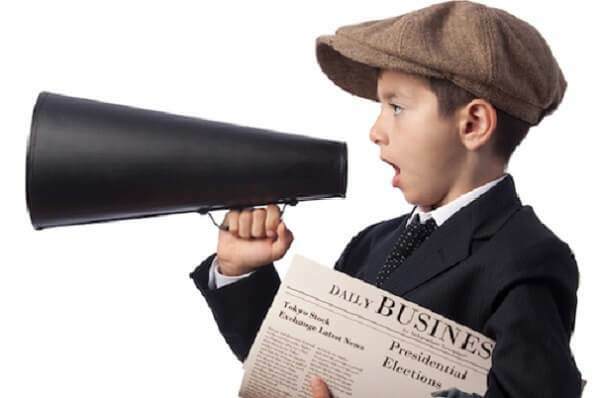 What’s cuter than a newsie yelling into a megaphone? Cute, right? Sends the message that this is breaking news, right? But we’ve seen this photo before. Hundreds of times, actually. 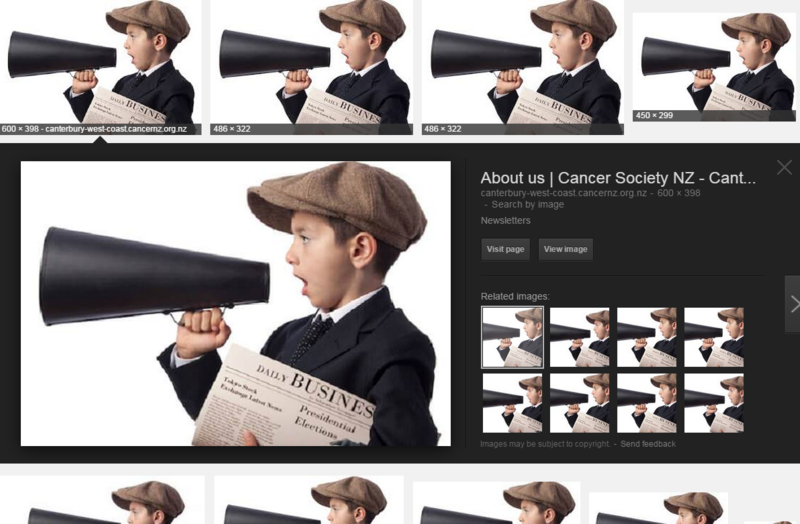 The same image has been used to tell people about cancer, technology, products and services and, yes, even news. A Google image search pulls up tons of sites that use the same image. It’s also appeared in hundreds of emailings and ads. Free imagery is appealing because it often looks professional and doesn’t cost anything. Or does it? They’re often overposed. All those photos of awesomely posed subjects on a clean, white background scream that the photo is not indicative or relevant to the business. Consumers would rather see real representatives, and not some random perfectly dressed group of people, all high-fiving at exactly the right moment. They’re so generic. Photos should reveal the true spirit of your company. Generic images are just that. No one wants to dig around to figure out what you do. They’re too professional. Yes, I said that. People aren’t looking for the message you want to convey, they want to know who you really are. If you’re just a bunch of guys in suits, what’s the point? They’re used everywhere. When we’ve seen something before we’re not prompted to stop and take a look. We’re more apt to move on because we either think we already know the message or we don’t care about the message. They scream cheap. Whether free or just a few dollars, stock photos show that you didn’t spend the time to tell the real story. Instead you chose a third-parties graphic that kinda tells the story you hope the visitor thinks is important. There’s a big difference. If you don’t have the budget for generating high-end content, look no further than the device you might be using to read this post. Many of today’s smartphones are equipped with cameras that will produce a great image. You may have to practice, and you may have to perform a few edits, but there’s no reason you can’t use a smartphone or pocket-sized digital camera to tell your story. I’ve done it myself. Of course, if you want to be like so many others, keep on grabbing those freebies, including the pretty lady donning a telephone headset. Just don’t complain if the page’s bounce rate reflects the decision.